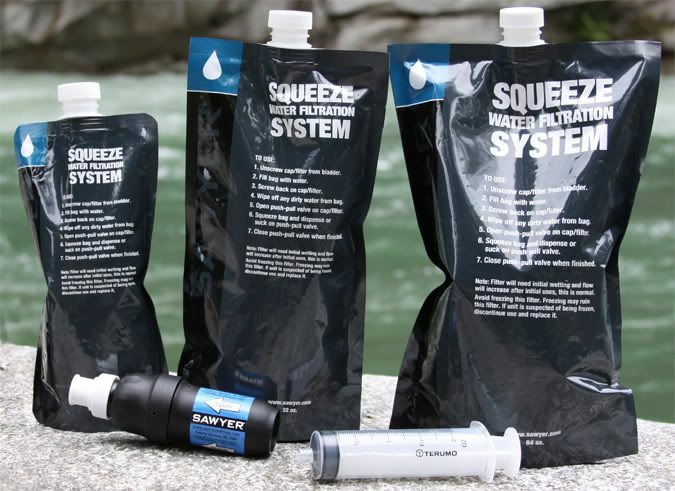 You’re hiking the backcountry and need fresh water but don’t want to drink from the lake. What do you do? Well, one good answer is that you use your new Squeeze Filter by Sawyer. Simply fill up the pouch that comes with the filter (or use your own water bottle) and screw the filter on tightly, then go ahead and drink through the filter. It’s as simple as that. You can also use it when traveling in areas where the water is a bit sketchy. Each filter is good for nearly 1 million gallons, so you’ll probably only need one for the entire trip.